Maradona is regarded as Argentina’s greatest ever footballer and celebrated his 58th birthday yesterday. 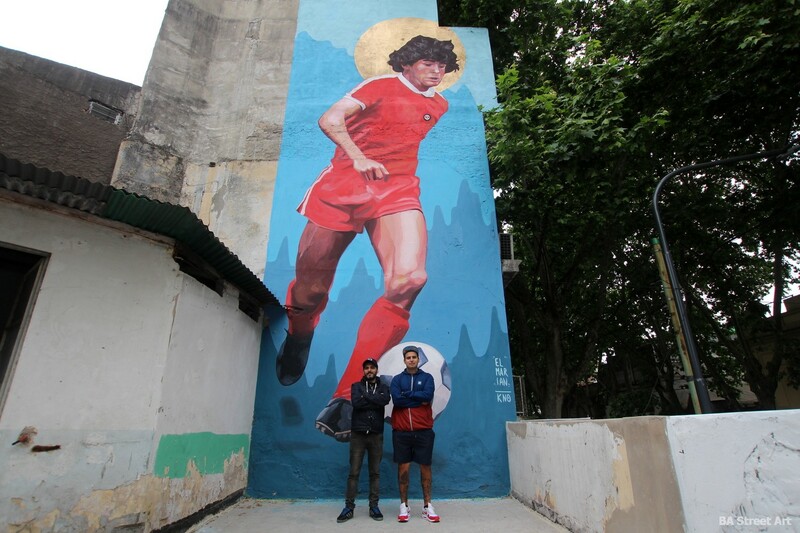 To mark the occasion, César Pérez, who has helped turn Maradona’s former house ‘La Casa de D10S’ in La Paternal into a museum, invited El Marian and KNO to paint a new mural paying tribute to the footballing legend. 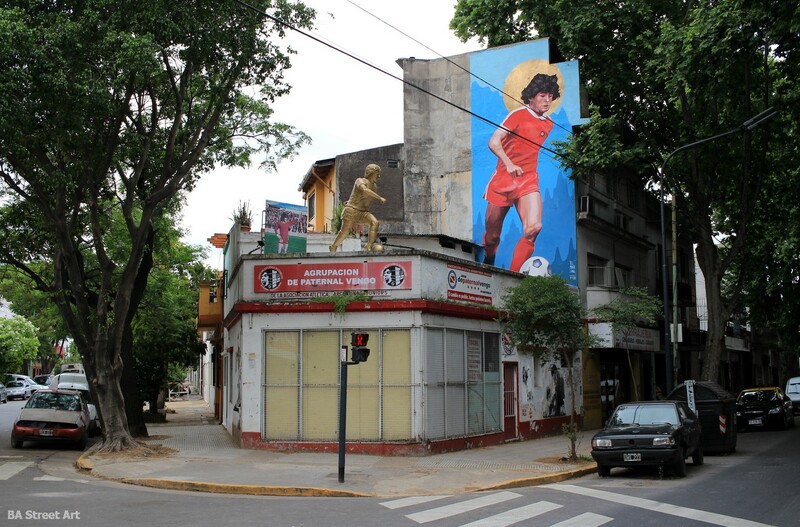 The mural features Maradona playing for his first professional club Argentine Juniors. 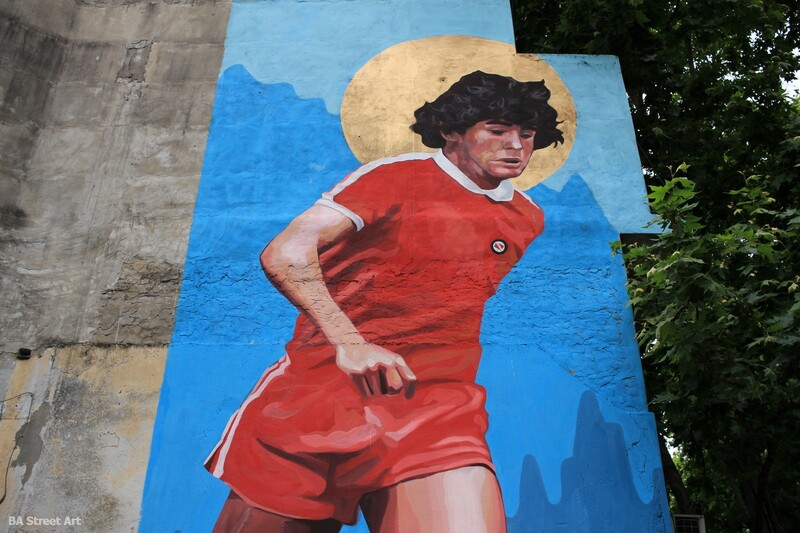 The artwork has been painted on the terrace of the Office of Historical Studies of La Paternal and Villa General Mitre (la Junta de Estudios Históricos de La Paternal y Villa General Mitre), that is located just 100 metres from the Diego Armando Maradona Stadium that is home to Argentinos Juniors. 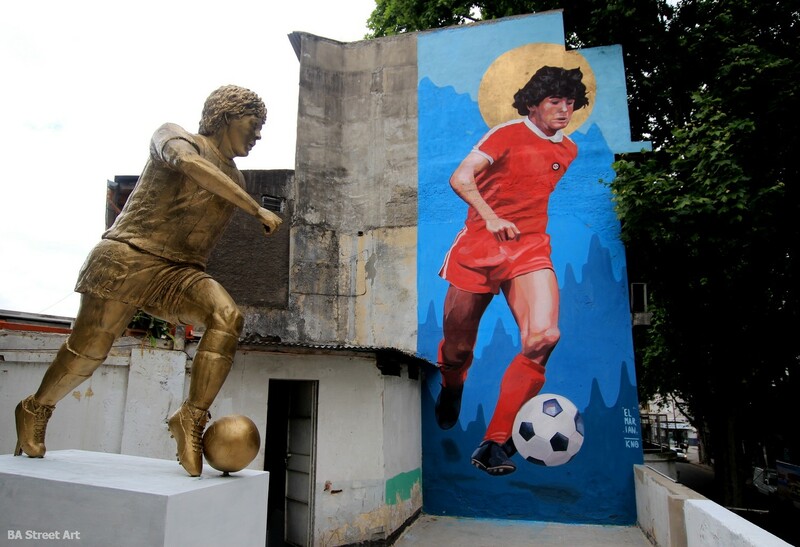 A statue of Maradona measuring 2.8m in height by sculptor Jorge Martínez was also inaugurated today together with the mural. The iron sculpture painted in bronze depicts Maradona beginning his mazy dribble during the 1986 World Cup quarter-final against England that ended in him scoring Argentina’s winning goal that is regarded as the best ever goal in the history of the tournament. The mural measures 11 metres by 3.5 metres and can be seen from the street. 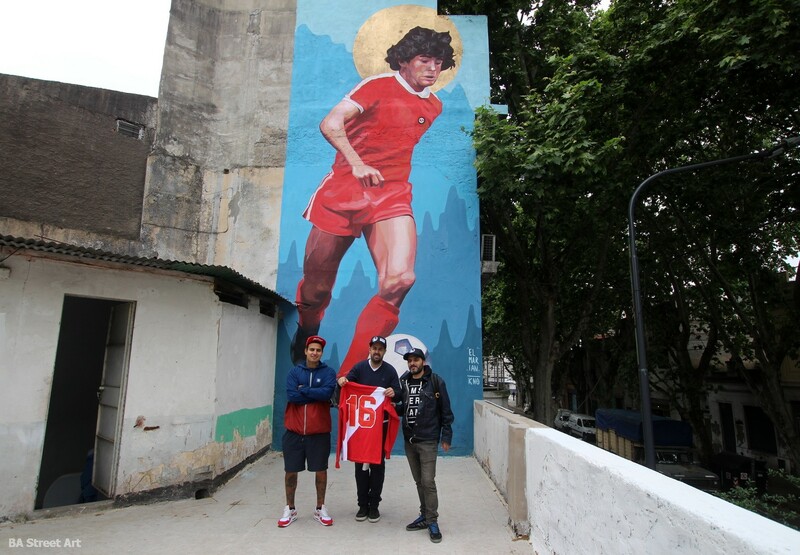 César Pérez hopes the mural will become an emblem of the neighbourhood and firmly put his former home and La Paternal on the map as the place where Maradona lived began his professional career as a footballer. 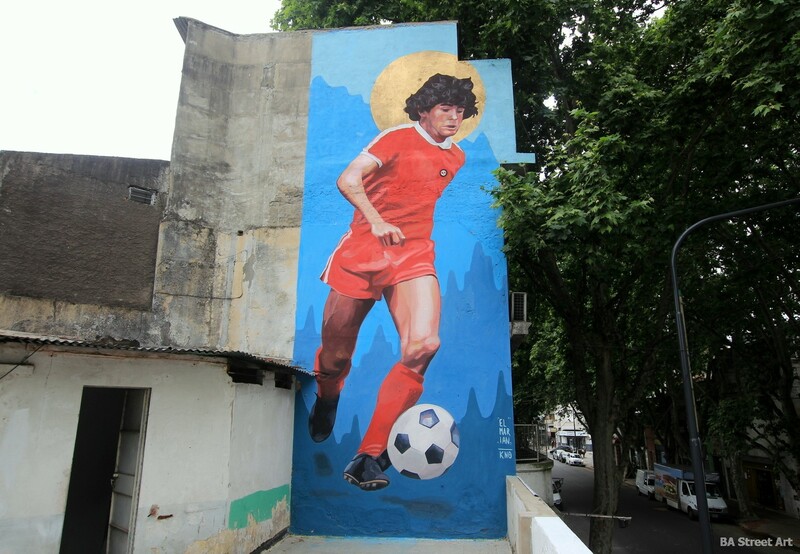 This entry was posted by Richard Fenning in News and tagged Argentinos Juniors, Diego Maradona, Diego Maradona mural, El Marian & KNO mural, El Marian Maradona mural, La Casa de D10S La Paternal, La Paternal murals, La Paternal street art, Maradona mural Buenos Aires, Maradona mural La Paternal.